Since 2014 leading arts and health organisation NGO „Socialiniai meno projektai“ along with a number of partners, such as the National Gallery of Art, National M. K. Čiurlionis Art Museum, Butler Gallery in Ireland, etc., started implementing a programme “Susitikime muziejuje” (Meeting at a Museum). 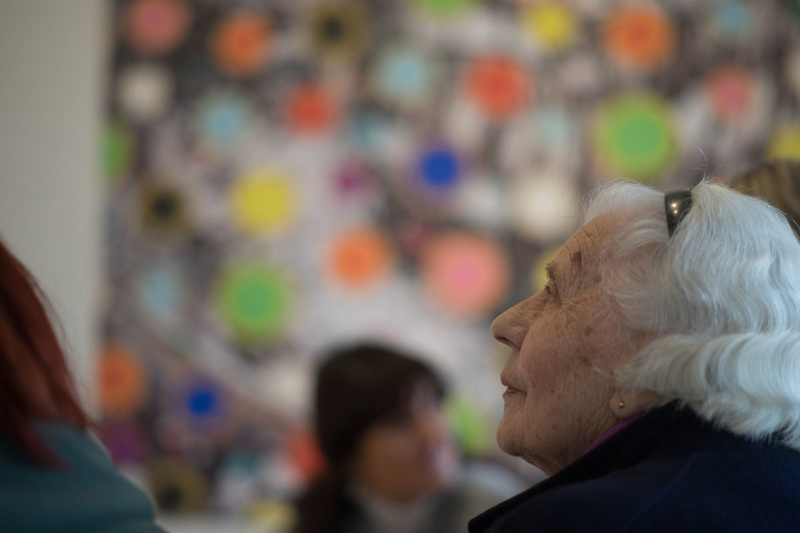 The programme is aiming to build access to culture and arts for the people living with dementia. Additionally, by expanding the competences of educators, "Susitikime muziejuje" aims to increase the availability of museums and galleries to a diversity of audiences who face social difference in daily life and stigmatizing attitude of the society. 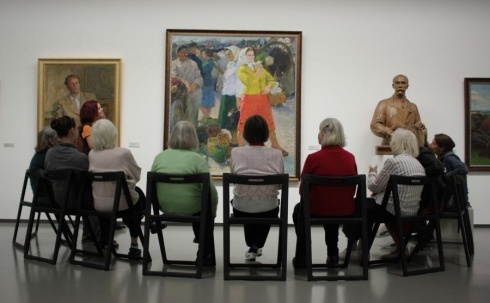 Started as an innovative training programme for museum educators, which covered theory and practice of organizing educational activities, exposition presentation programs, creative workshops for people living with dementia,.it grew to extensive creative art programme and an unofficial network for museum professionals. The network provides possibility to share information, exchange ideas and get support when initiating, planning and implementing dementia friendly programming. 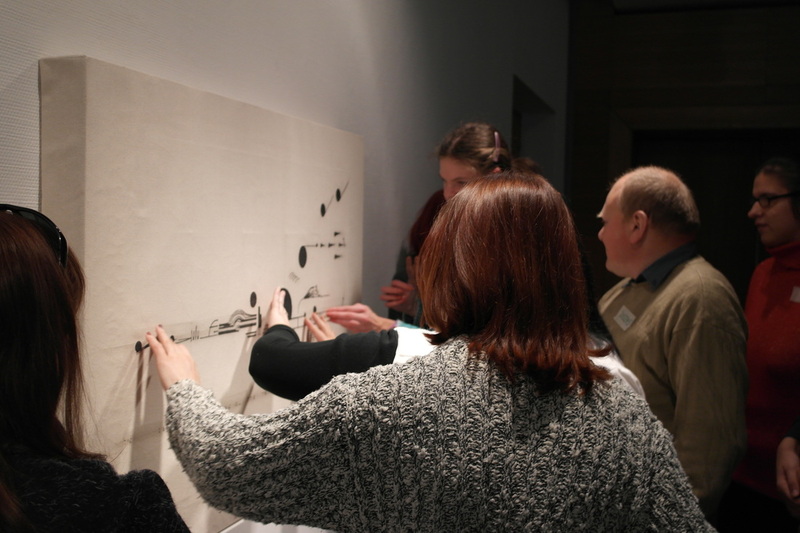 "Susitikime muziejuje" experience offered a possibility for an international collaboration in an Erasmus+ project "Museums, Art and Alzheimers" (2015-2017), "The evaluation of the Accessibility of Lithuanian Art Museums for People from Socially Excluded Groups" (2017-2018, in collaboration with the Lithuanian Council for Culture, the Ministry of Culture of the Republic of Lithuania, the Nordic Council of Ministers’ Office in Lithuania, the Lithuanian Museums Association, etc.). Educational activity at the museum can have an impact on the well-being of people who in their daily lives experience isolation. Safe environment encourages people to become more active, develop their creativity, pracice their self-expression, as well to improve their health and wellbeing. Educational programs of museums comprise positive changes related to learning capabilities (memory, comprehension, recognition) concentration of attention, self-esteem, socialization. "Susitikime muziejuje" programme has collaborated with educators of the National Art Museum-National Art Gallery, Applied Art Museum, Vilnius Art Gallery, Kaunas Biennial, Vytautas Kasiulis Art Museum, Museum of Radvilai Palace as well as the Lithuanian Education History Museum, the Lithuanian Sea Museum, as well as a number of professional carers, family members of people living with dementia, Alzheimer's clubs in Vilnius, Kaunas, Klaipėda, Šiauliai.